This retro Nordic style has been around for decades and popular with humans and canines alike. The reindeer motif (or caribou for North America wilderness) is great not only for the holidays, but the entire winter. The design is loaded with nostalgia for winter sports of all kinds. 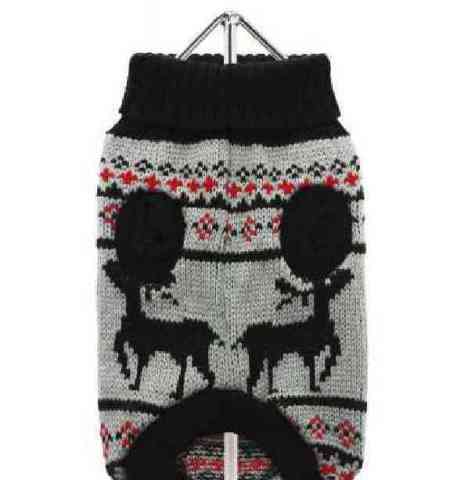 For more information on the Nordic Reindeer Sweater or to order, click here. Marnie The Santa Dog! The Animal Video Of The Day!! !